Mmm, I’m still loving this chicken sandwich even after The Bird has been open for a while. The fried chicken thigh is so juicy, tender, and flavorful so I’m sure I’m not going to get tired of it any time soon! 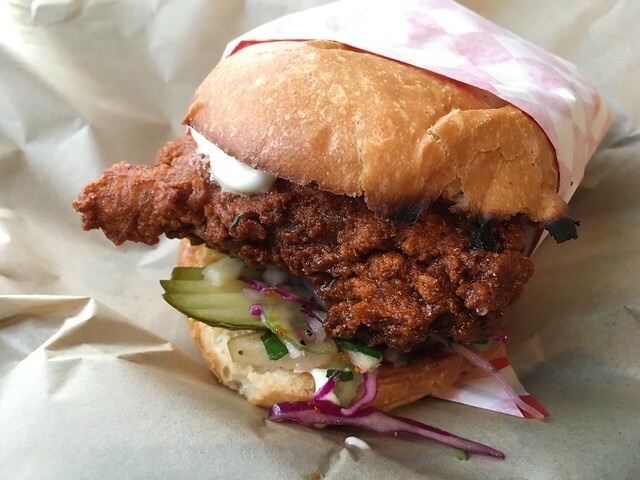 This entry was posted in The Bird and tagged food, fried chicken, lunch, sandwich by vicentesf. Bookmark the permalink.